Below, you’ll learn which vegetables you should consume in abundance, which you should consume in moderation and a few keto-friendly recipes to get more veggies in your diet. When following keto or another extremely low carb diet, your goal should be to keep your total carb intake at or below 5% of total calories. For the average person, this comes out to roughly 20 grams of net carbs per day. To determine which low carb vegetables are best, do a little reverse math. A healthy meal plan should include three to five servings of vegetables per day, at minimum[*]. If your goal is 20 grams of net carbs, and you want to consume five servings, then you should aim to consume vegetables with 4 grams of net carbs (or less) per serving size. Another rule of thumb to follow: If a vegetable grows above ground (lettuce, spinach and bell peppers are good examples) it probably contains a low enough carb count to be keto-friendly. If a vegetable grows below ground (carrots, potatoes, sweet potatoes and turnips) you might need to double-check the carb count. Veggies that grow below ground are known as “tubers,” and are known for being high-starch, high-carb vegetables. For example, 100 grams of sweet potato contains 17 grams of net carbs. Therefore, you might be tempted to eat a sweet potato with grass-fed butter as a treat — but you can only eat half! Eating the entire sweet potato would double the net carb count to 34 grams, well over your daily allotment. The following vegetables can be consumed in abundance on keto. All net carb counts below (listed in parenthesis after the food) refer to a 100-gram serving. Greens are rich in iron and vitamins A, C and K. They help fight inflammation and support bone, brain and heart health, as well as eyesight, skin elasticity and proper blood clotting[*][*][*][*]. Green leafy vegetables have also been shown to fight the aging process and cognitive decline[*]. 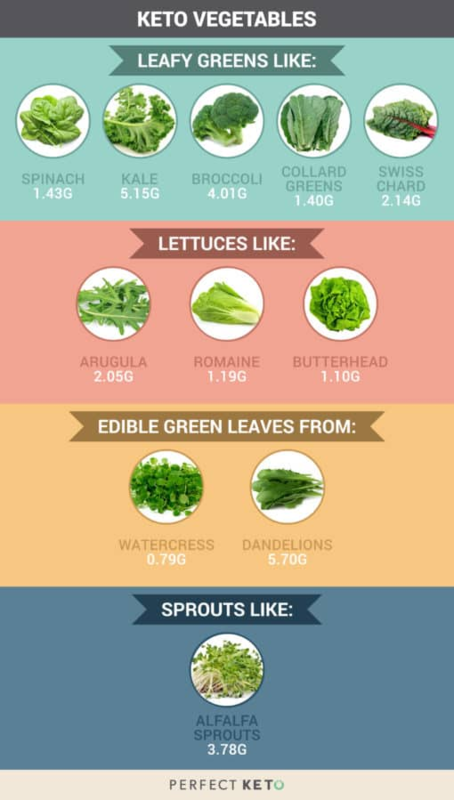 Adding these greens to your meals can provide volume without too many added carbs or calories. Cruciferous veggies are rich in vitamin C, vitamin E and vitamin K, as well as folate, dietary fiber and minerals. Studies show cruciferous vegetables can protect cells from DNA damage, have antiviral and antibacterial qualities and inhibit tumor growth can help protect against many different types of cancer and may help decrease insulin resistance in those with Type 2 diabetes [*]. 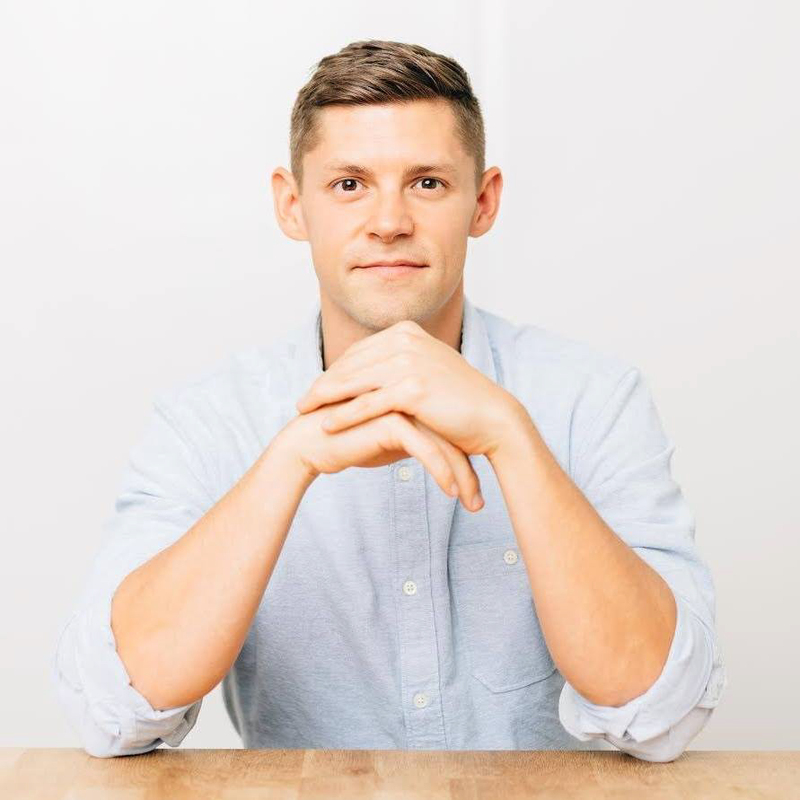 Now that we’ve covered some of the best keto vegetables to use on your ketogenic diet, let’s talk about those that should be limited or avoided completely. 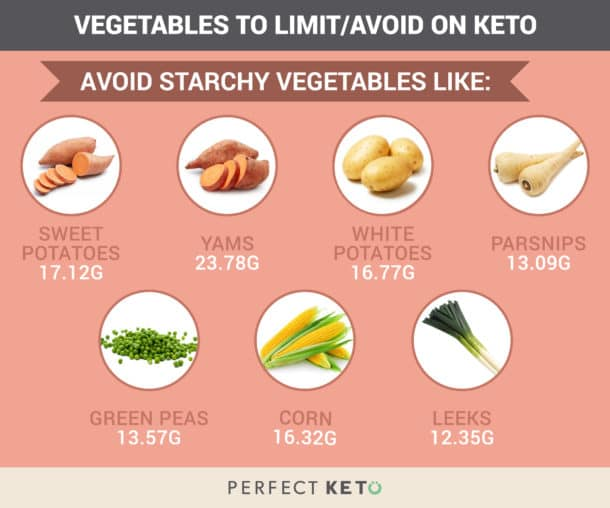 There are two groups of vegetables you should avoid on keto: starchy vegetables and vegetables that could be defined as a legume. There are lots of ways to enjoy vegetables on a ketogenic diet. Enjoy them as a side dish topped with a dollop of healthy fat, like grass-fed butter or a drizzle of olive oil or coconut oil. You can saute them in stir fries or add them to soups and stews. They’re also a great base for keto salads. Enjoy fresh veggies in season, and stock up on frozen veggies when your favorites are not in season (or if you don’t have easy access to fresh produce year-round). Frozen vegetables are typically cheaper than fresh, and just as nutritious. There is an abundance of low carb vegetables to enjoy on keto, all of which offer various health benefits. Leafy greens, cruciferous veggies and other low carb foods can be enjoyed in large quantities. Sweet veggies such as onions, carrots and squash should be enjoyed in moderation. Certain foods, like starchy tubers and legumes, are best avoided. Get creative with meal planning, incorporating a wide variety of veggies in your diet. For more recipe ideas, visit the Perfect Keto recipe library. Can recommend some snacks to have at say 4 pm ? How about coffee.. I’m better very addicted to coffee n cream… Need to have at least two cups-morning n afternoon… Can I drink it with 1/2 of soon creamer?? Ally Martinez you can have coffee with creamer!! Land O Lakes has a creamer with 0 Carbs!! Or you can also add coconut oil and butter to your coffee as well. Try making a Keto Bulletproof coffee! I have it instead of breakfast many days. Macadamia nuts make a good snack! I’m having a really hard time getting my vegetable servings to come in under 20 grams of carbs. It seems like my salad for lunch, which is 1 cup greens (typically kale), and 1 cup total of other veggies (e.g. 1/3 cup broccoli slaw, 1/6 cup bell pepper, 1/6 cup onion, 1/3 cup cucumber) for a total of 3 servings uses up almost everything. That’s 3 servings leaving me 2 servings or 1 cup for dinner. I get close, but always seem to come in around 22-23 total carbs. Also, I don’t see tomatoes on here anywhere. Are those ok? There is a new yogurt called Yo made my Yoplait with 2 gram carbs per individual serving. Mix in low keto nuts, keto friendly sweetener of choice,cinnamon and vanilla. How much vegetables i need to eat per day with my Keto diet? Hi Ghattas, it depends on your dietary needs and goals. what about condiments? which ones are keto friendly? Hi Ambyr, it will still vary on your diet goal. The article shows how much carb content there is per specific veggie. It’s always important to calculate your macros and be mindful of serving sizes.